Apps are wondrous little inventions, allowing us to increase productivity yet procrastinate heavily in one fell swoop. If you’re looking for something to kill a lot of time, you’ve probably already been captured by the hopelessly addictive Candy Crush Saga, but if you are on the hunt for an app to help you out from day to day, a new app called HEARD certainly could pique your interest. In essence, it records sounds around you, allowing you to playback sounds and as such, recall details you might have missed from important conversations, such as instructions from your boss or the passcode you discussed with somebody and ought to have jotted down. 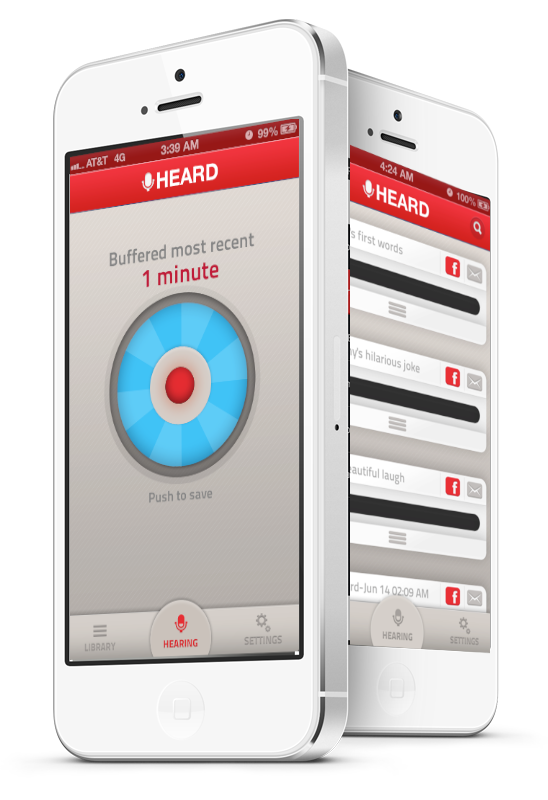 Essentially, HEARD is ideal for the disorganized individual. If you aren’t quite in the habit of taking notes where applicable and have the memory span of a fish, HEARD is like a safety blanket, with your iOS device quietly recording noises in case you need to have them played back. Sure, it could be perceived as a tad bit stalkerish, but in this age where folks throw up all kinds of information on the Web without so much as a second thought, the practical uses of HEARD, in my humble opinion, outweigh any potential downsides. 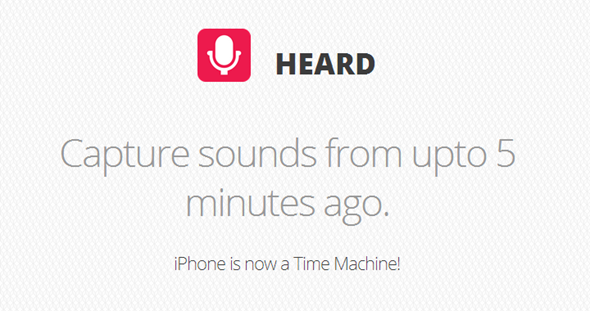 When you download the app, which is free of charge, it will record up to 12 seconds of the past. It’s certainly not enough to have any tangible use, but it does give you an idea of how the app works. If you decide you like the idea, you’ll need to pony up $1.99, which gets you the “Bigger Audio Buffer,” via in-app purchase. From there, you can set the recording buffer at 30 seconds, one minute, or five minutes, which ought to be more than enough for even the most disorganized individual. I can understand why this app could draw criticism, but I really like the idea of HEARD, and it could save you from the embarrassment of having to ask the same question multiple times because you forgot the original answer. Give it a whirl, and be sure to let us know how you get on by dropping a comment below. Be sure to check out our iPhone Apps Gallery and iPad Apps Gallery to explore more apps for your iPad and iPod touch.